The Barça manager appeared before the media ahead of Sunday's match versus Girona at Camp Nou. GET TICKETS! Ernesto Valverde won’t just be looking to help Barça stay perfect on the season across all competitions when Girona visit Camp Nou on Sunday at 8.45pm CEST, he’ll also be going for a third win in three tries versus the team that hails from an hour north of Barcelona, which are only in their second season ever in the Spanish top flight. And to make things a little more interesting, Girona are now led by former Barça man Eusebio Sacristán, who not only played for the Blaugranas but also managed the Barça B team before becoming the head coach at Real Sociedad, which he left this summer for Girona. 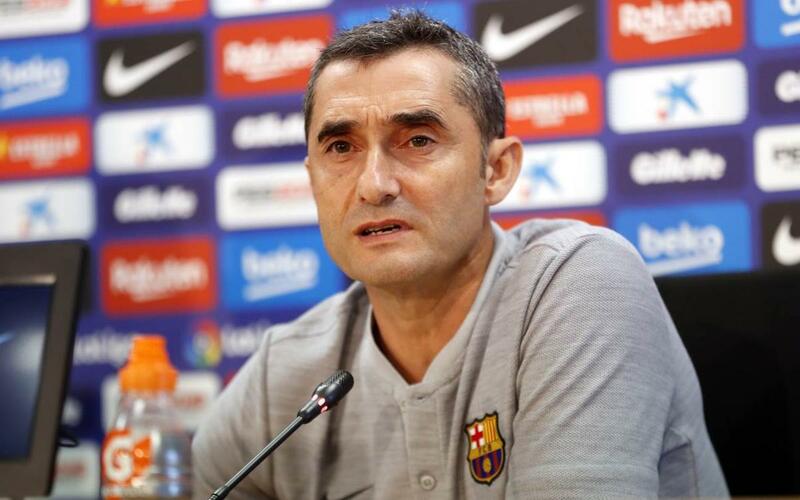 Here are the highlights of what Valverde had to say heading into the first Catalan derby of the 2018/19 season. “Eusebio is a coach who always stands tall and it will be an intense match." "We have three tough games in a row. This week we have three very tough meetings in six days."